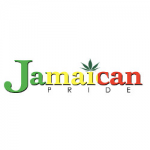 Jamaican Pride create exciting and unique cannabis seeds by carefully tinkering with classic strains and enhancing them into impressive hybrids that offer high levels of THC and a striking yield. They take pride in their work and aim to include something for everyone from Indicas and Sativas, Autoflowering & Feminised, and medicinal products for the arbiters of taste. Jamaican Pride assures freshness and quality in all of their seeds which stored in a temperature and humidity controlled environment.